His military career began on Pearl Harbor Day 1968. His duties performed include: Disbursement Accounting Specialist, Accounting & Finance Supervisor, Inventory Management Specialist, Personnel Superintendent and Military Personnel Management Officer. He served with the 120th Combat Support Squadron (MTANG) and the 142nd Combat Support Squadron (ORANG). His final assignment was with the Joint Force Headquarters – Montana National Guard. 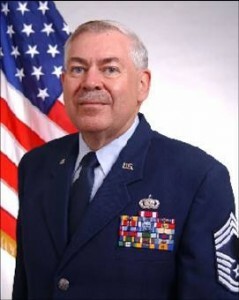 He is a recipient of the Air Force Meritorious Service Medal, as well as several other awards and decorations. He served as president of the Enlisted Association of the National Guard of the United States (EANGUS).